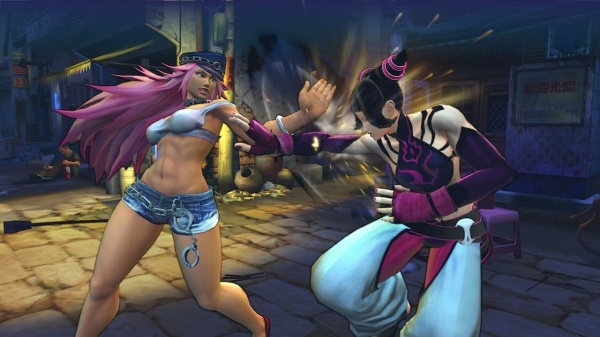 In Ultra Street Fighter IV, Poison, Hugo, Elena, Rolento and a secret all-new playable character join the fight, complete with new animations and their own unique play styles, bringing the current roster count to a massive 44 characters. Six new battle environments (including Pitstop 109, Cosmic Elevator, Half Pipe and more) provide a thrilling and colorful backdrop to the action. 8/5/2014: A packaged version of Ultra Street Fighter IV is now in stores for PS3 and Xbox 360, and the game is coming to digital download on PC on August 8th. 6/5/2014: Monster Hunter 4 Ultimate will be among the games on display at Capcom's booth at E3 2014. 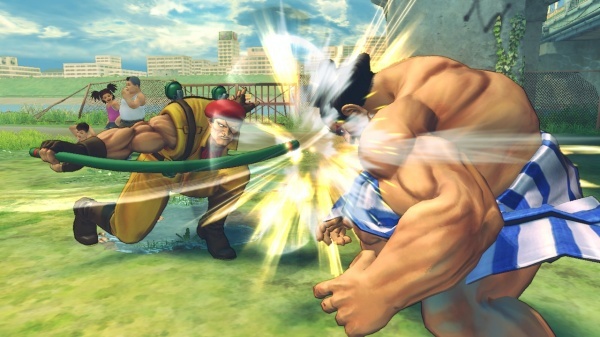 6/3/2014: Ultra Street Fighter IV is now available for digital download for PS3 and Xbox 360. 5/15/2014: Ultra Street Fighter IV will be available for download from PSN on June 3rd, Xbox 360 on June 4th, and PC on August 8th. It will be available in stores on August 5th.